Brandy Blanton, Elementary School’s nurse, provides weekly news and tips for helping children at home. February is American Heart Month. During the month of February, Americans see the human heart as the symbol of love. February is American Heart Month, a time to show yourself the love. Learn about your risk for heart disease and stroke and stay “heart healthy” for yourself and your loved ones. Cardiovascular disease (CVD) – including heart disease, stroke, and high blood pressure- is the number one killer of women and men in the United States. It is a leading cause of disability, preventing Americans from working and enjoying family activities. CVD costs the United States over $300 billion each year, including the cost of health care services, medications, and lost productivity. CVD does not affect all groups of people in the same way. Although the number of preventable deaths has declined in people aged 65 to 74 years, it has remained unchanged in people under age 65. Men are more than twice as likely as women to die from preventable CVD. Having a close relative who has heart disease puts you at higher risk for CVD. Health disparities based on geography also exist. During 2007-2009, death rates due to heart disease were the highest in the South and lowest in the West. Race and ethnicity also affect your risk. Nearly 44% of African American men and 48% of African American women have some form of CVD. And African Americans are more likely than any other racial or ethnic group to have high blood pressure and to develop the condition earlier in life. About 2 in 5 African American adults have high blood pressure, yet fewer than half of them have the condition under control. Many CVD deaths could have been prevented through healthier habits, healthier living spaces, and better management of conditions like high blood pressure and diabetes. • Try not to become overwhelmed. Every step brings you closer to a healthier heart, and every healthy choice makes a difference! • Partner up. The journey is more fun – and often more successful- when you have company. Ask friends and family to join you. • Don’t get discouraged. You may not be able to take all of the steps at one time. Get a good night’s sleep – also important for a healthy heart- and do what you can tomorrow. • Reward yourself. Find fun things to do to decrease your stress. Round up some colleagues for a lunchtime walk, join a singing group, or have a healthy dinner with your family or friends. Try out these strategies for better heart health. You’ll be surprised how many of them can become lifelong habits! • Work with your health care team – get a checkup at least once each year. • Monitor your blood pressure – high blood pressure often has no symptoms, so be sure to have it checked on a regular basis. 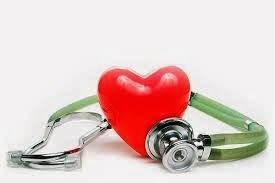 • Get your cholesterol checked – your health care team should test your cholesterol levels at least once every 5 years. • Eat a healthy diet – choosing healthful mean and snack options can help you avoid CVD and its complications. • Maintain a healthy weight – being overweight or obese can increase your risk for CVD. 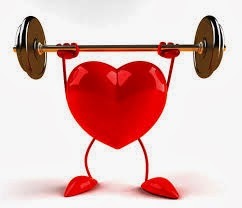 • Exercise regularly- physical activity can help maintain a healthy weight and lower cholesterol and blood pressure. • Don’t smoke – cigarette smoking greatly increases your risk for CVD. • Limit alcohol use- avoid drinking too much alcohol, which can increase your blood pressure. • Manage your diabetes – if you have diabetes, monitor your blood sugar levels closely, and talk with your health care team about treatment option. • Take your medicine – if you’re taking medication to treat high blood pressure, high cholesterol, diabetes, or another condition, follow the instructions carefully. Always ask questions if you don’t understand something. If you have side effects, talk with your health care team about your options.